A large UK-based moneylender which offers loans at a rate of 49.9% to borrowers with poor credit histories has officially launched here. Amigo Loans uses a model that requires people, typically friends and family, to act as guarantor for the borrower in case they cannot pay the money back. News that Amigo Loans had received a money-lending licence from the Central Bank last November prompted criticism from opposition parties including Sinn Féin, which said such rates were outrageous. At the time the Taoiseach told the Dáil that the Government may need to consider a cap on moneylender rates and recommended that those who were struggling to get loans from mainstream lenders try credit unions instead. However, last week an Oireachtas committee heard that a State-designed scheme, which aims to compete with moneylenders and provide an option to sub-prime borrowers, was loss-making and had too high an administrative burden for credit unions. Amigo, which has 207,000 customers in the UK and more than £670m in active loans there, is initially trialling its service here over the internet and phone. It will then decide later this year whether the product it offers can be scaled to a wider number of borrowers in the Irish market. The lender will offer loans of between €500 and €5,000 for a period between 12 and 36 months at a fixed APR of 49.9%. The company claims this is the fifth lowest rate of any licensed moneylender here, making it a mid-cost credit provider. "It is important that people understand that Amigo is not a doorstep lender, we are not a moneylender that will appear at your door to lend or collect money," said Daniel Hawkins, Managing Director of Amigo Loans Ireland Ltd.
"We are an online proposition supported by real human beings, with loans collected via traditional methods such as direct debit or online debit card payments." Amigo says it tries to offer a better option to people with a poor credit history who would otherwise have to borrow from moneylenders charging over 100% in interest. The lender says it caps the interest rates on its loans so the customer does not have to pay back more than the originally agreed sum. There are currently 38 licensed moneylenders on the Central Bank's register, with some charging up to 288% APR. Amigo claims that its product is "socialising" in that it enables people without a proper credit history to gradually earn one again, allowing them in time to perhaps resume borrowing from mainstream lenders. Daniel Hawkins, managing director of Amigo Loans Ireland, said the company is "redefining" what it means to be a moneylender in Ireland. Pointing out that Amigo's customer base is made up of customers who have been refused credit from banks and credit unions, he said the company's focus is on affordability and whether a customer can afford their monthly repayments. 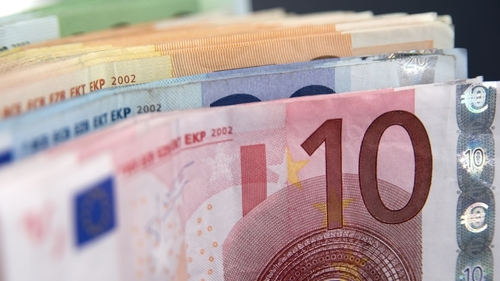 Borrowing the maximum loan from Amigo - €5,000 over three years - would see a customer pay €3,782 in interest, but Mr Hawkins said the firm does not front-load the interest on its loans, like many banks do. He says that customers are encouraged to repay their debts early whenever they can and so they end up paying back a lot less. A bill is currently before the Dáil from Sinn Féin's Pearse Doherty which seeks to cap the rate moneylenders can levy at 36%. Daniel Hawkins said that applying a rate cap could bring some challenges with a number of moneylenders possibly ceasing to exist here and thereby reducing the choice consumers have. It could also result in the growth of illegal unlicensed moneylenders. As Amigo is only launching a trial here and is not going after large numbers of potential customers, he said that the potential impact of a cap is unknown to it. Mr Hawkins also denied that his company aggressively pursues those who do not pay back their loans, adding that the shortest period of time before legal action is longer than three months. But he said this relates to people who are unwilling to make repayments and the company approaches the situation the same way as any traditional high street lender would. He said the company works with the customer to try and understand their circumstances and will work with the customer to try and solve the problem. "Only customers that aren't willing to work with us will possibly end up in court, and all we are doing is asking the court to make a decision on whether that loan is repayable and how much that customer should be repaying," he explained.